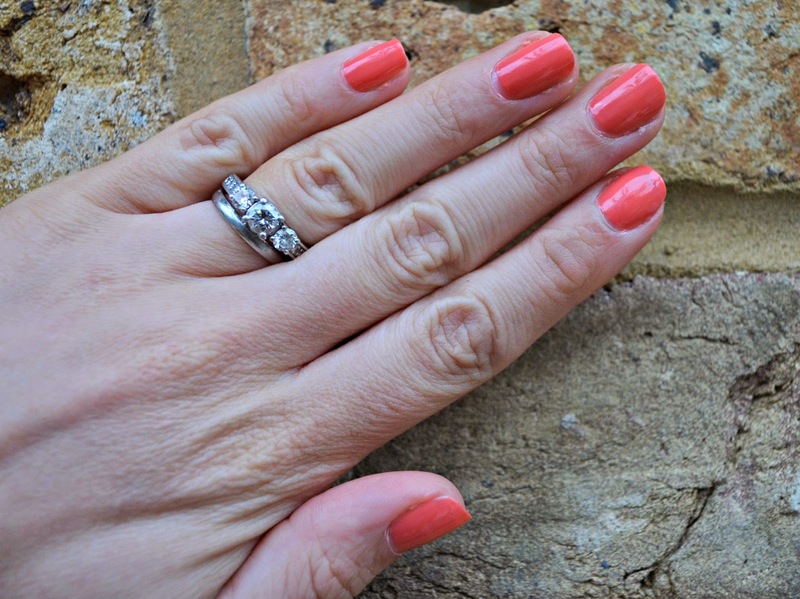 Coral is always my fav summer nail polish, I think it looks fab when you have a little more colour in your skin and even better when the sun is shining. 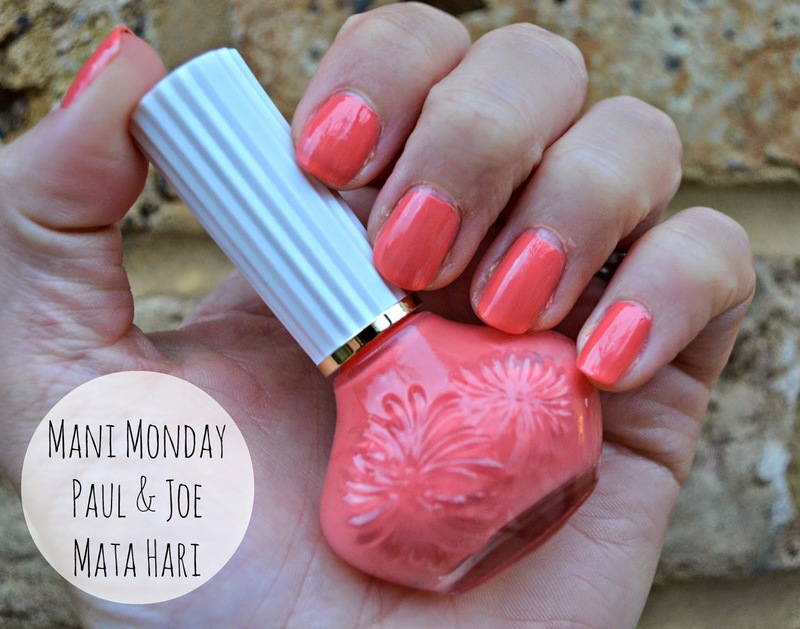 Paul & Joe have just brought out a range of 25 nail shades and I am loving this peachy-coral called Mata Hari (which was the stage name of an an exotic dancer and courtesan who was convicted of being a spy and executed by firing squad in France under charges of espionage for Germany during World War I - thanks Wikipedia!). After having Model's Own Shades on my nails this weekend to attend a friends wedding, I am enjoying the rest from neon nails. The bottle is just too cute, inspired by vintage perfume bottles, it it too pretty to be stored away. I did need to use three coats, and even then you can slightly see where my nail beds finish. At £12 a polish, they aren't the cheapest, but a gorgeous colour and packaging. Paul & Joe Nail Enamels are available from ASOS, Harrods, Selfridges and beautybay.com.